﻿ Best Price on Casa Encantada in Antigua Guatemala + Reviews! 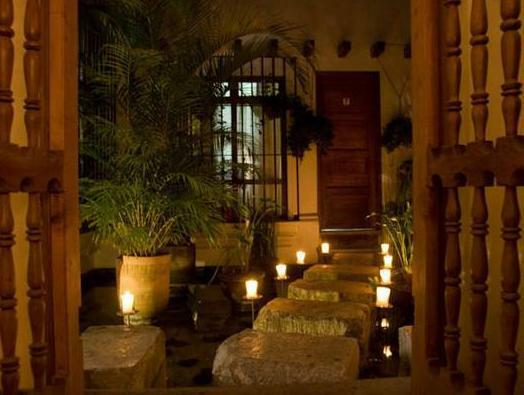 Located in the UNESCO World Heritage Site of Antigua Guatemala, Casa Encantada is 1640 feet from the city’s cathedral. It features charming, individually decorated rooms, a restaurant and an outdoor swimming pool set in gardens. 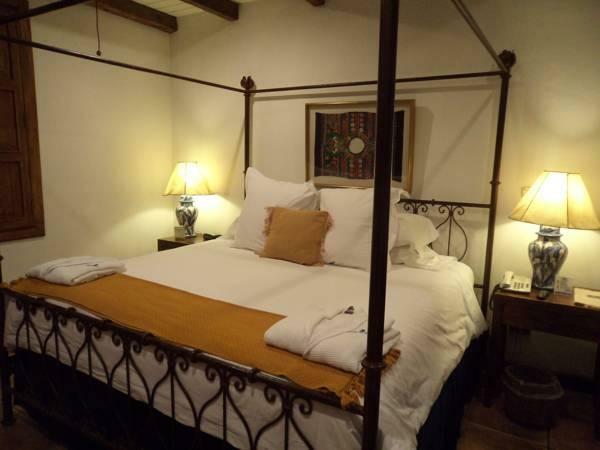 Each spacious room at Casa Encantada has colonial-style décor with wrought-iron 4-poster beds, Italian bed linen and wooden furnishings. There is a TV, a fridge and a private bathroom. Breakfast is served in the Encantada’s dining room, located on the hotel’s top floor. Here you will also find a terrace. Staff can arrange excursions to nearby coffee plantations, volcanoes and lakes. Local activities include fishing and golfing. Antigua Guatemala’s Central Plaza and market are within 5 minutes’ walk of the hotel. The center of Guatemala City and its airport can be reached in 40 minutes by car. I was so fortunate to have found Casa Encantada! It was a lovely place to end my stay in Antigua--really a uniquely beautiful hotel, in a lovely old building. The staff was very attentive, spoke excellent English, and made my stay that much easier. Breakfast is on an outdoor terrace/rooftop and was cooked to order, then served elegantly. All for a modest price, thanks to Agoda! I thoroughly enjoyed my stay and hope to be able to return at some point.